With the advancements of medical technology, we can now offer In-Office STEM CELL injection therapy for a variety of Foot and Ankle ailments. Our In-office Fluoroscopy X-ray machine allows us the ability to precisely locate the underlying cause of common podiatric problems. Meet Dr. Michael Fishman D.P.M., M.S. Dr. Michael Fishman is an orange county native. He earned his Bachelor’s degree from the University of Colorado before continuing his education at the University of Wisconsin, where he earned his Master’s Degree in Environmental and Public Health. Dr. Fishman is passionate about not only helping people but also contributing to the advancement of medicine. After earning his Master’s Degree he joined UC San Diego to contribute to cancer research. Due to these efforts he was able to publish his work in the International Journal of Cancer. Dr. Fishman continued on to earn his Doctor of Podiatric Medicine (DPM) degree at the New York College of Podiatric Medicine. After graduation, Dr. Fishman completed a three-year podiatric residency at Long Beach Memorial Hospital with training in Reconstructive Rearfoot and Ankle Surgery. With innovative ideas and a commitment to hard work, Dr. Fishman decided to build his own practice from the ground up. His practice would be founded on the latest technology and customized individual care. This laid the foundation for which he has built and has developed the strong reputation in his community. Dr. Fishman has hospital affiliations at Long Beach Memorial Medical Center, Orange Coast Memorial Medical Center, Los Alamitos Medical Center, and Miller Children’s Hospital. Dr. Fishman is Board Certified by the American Board of Podiatric Medicine. 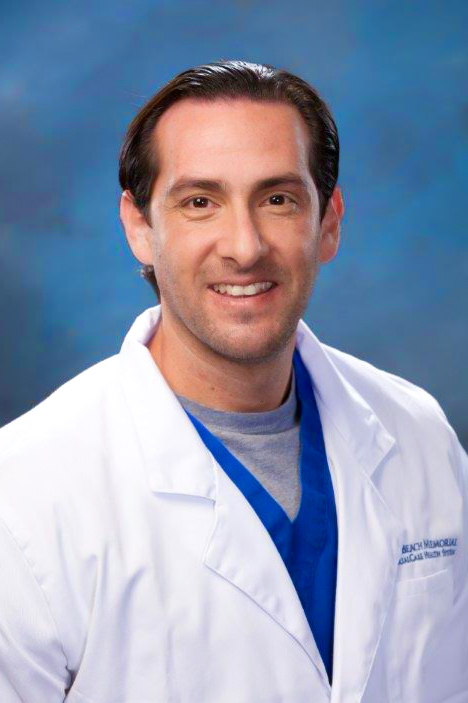 He is also an attending physician (Teaching Staff) for both the Long Beach Memorial Podiatric Residency and the Lakewood Regional Medical Center Podiatric Residency Programs. (562) 431-2558 or Request an Appointment Online.